What do you think? Is there a disconnect of Young vs. Old Nudists? How do you think we can bridge the gap? It’s Buck. I was thinking today about nudist/naturist resorts, and how anybody of any age, race or background can be a nudist. But yet, I fear a lot of people don’t feel that way. 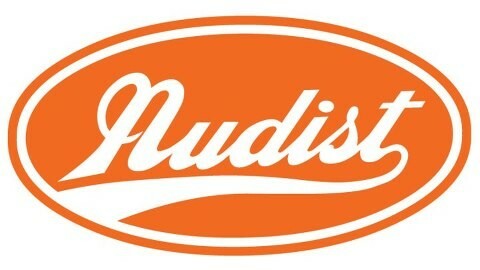 There are a lot of nudists/naturists that I think don’t get enough notice. For instance, I know that there are a lot of older nudists who tend to be rather edgy towards younger nudists, especially single men. There’s a number of nudist resorts that only cater to couples, and not singles. And of course, there’s a number of nudist resorts that don’t cater to children under 18. If we shun people away, how can we get more people into nudism, especially the younger crowds? I have begun adding some of my friends from my old account to my textile account. So now my textile account is a mix of both. Keep in mind that I will still refrain from posting nudist related links, pics or blogs on that account. However, I did create my public figure page, Scott RedCloud. Follow me there for my regular posts I usually did on my old account. A memory sparked up and thought i’d share my experiences with you. I believe I was 17 years old. I was at the Lasalle waterfront — some 200m due east of where the surfers like to catch some river rapid waves during the summer. it was about 35°c with a humidity of 43°c and sunny. It started to get windy while one of my exes and I were just spending some quality time together. for the meantime, we didn’t know it yet, a storm was brewing and we were facing west when the storm was coming from the east. Buck here. This morning I woke up real early because I just started thinking about being a nudist. As you guys probably already know, I “officially” came out as a nudist last November just before my 24th birthday and was raised in a non-nudist family. But come to think of it, I think my love for being naked may actually have roots in the early stages of my life—and I think I’ve been a nudist at heart my entire life, but I never wanted to actually admit it. On June the 4th, my account on Facebook was disabled due to their ‘fake name’ policy. This policy is to be quite honest is messed up! — I don’t know the number of people affected, however I’m sure it’s in the thousands or even more! People should not have to use their real name on social media. There was a big protest outside of Facebook on June 1st with Drag Queens, and others describing how not everyone wants to use their real name on social media to protect their identity and choose have a different name other than their real one.